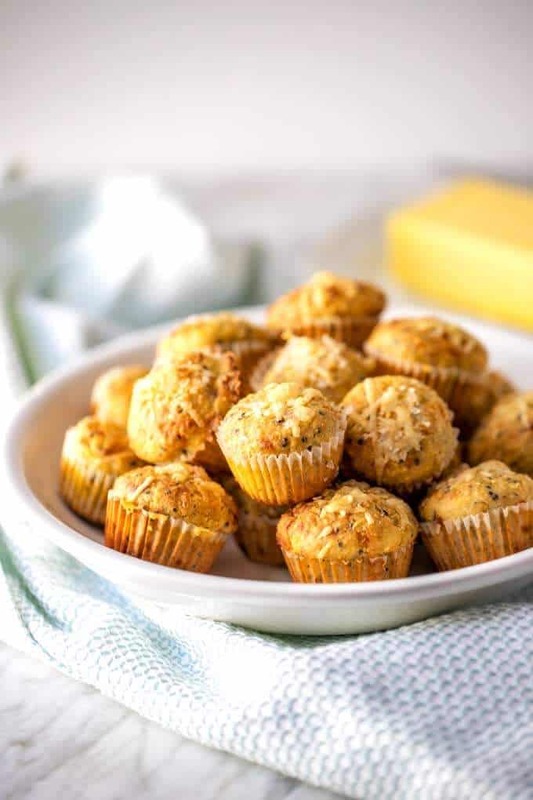 These Gluten Free Corn Muffins are a delicious addition to your table. 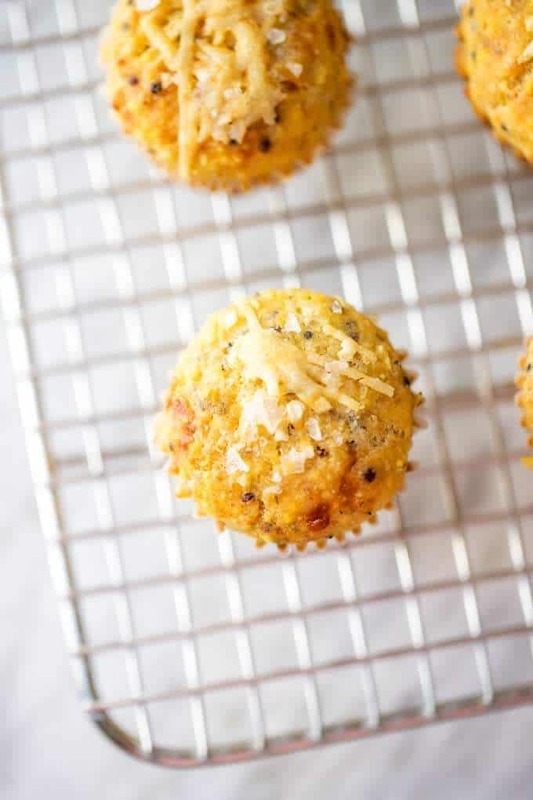 With the addition of quinoa, this is a muffin you can feel good about serving. I know for a lot of people, the hardest part about going gluten-free is giving up all the traditionally made sweets around the holidays. 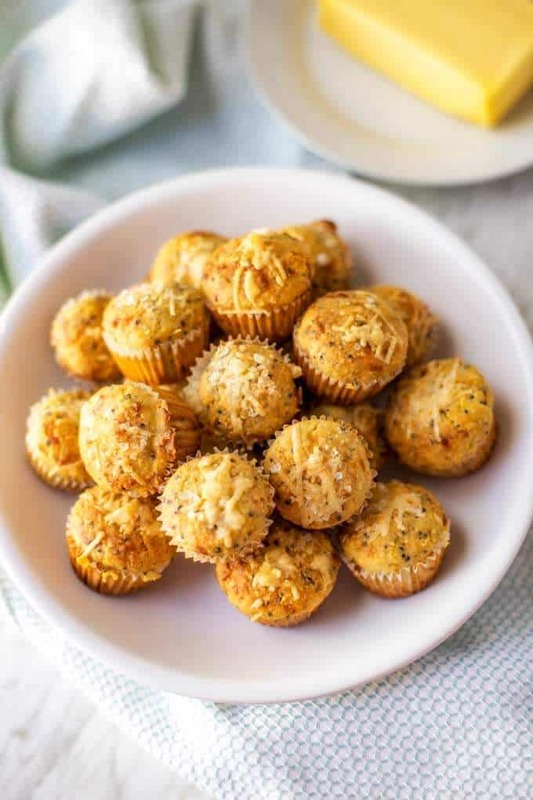 I’ve always been a savory girl, so for me, the hardest part is giving up bread and savory muffins. I don’t bake that often the rest of the year, but when Thanksgiving and Christmas roll around, my trusty stand mixer gets dusted off, and I find myself using it all the time. There is something about the holidays that makes me want to bake. 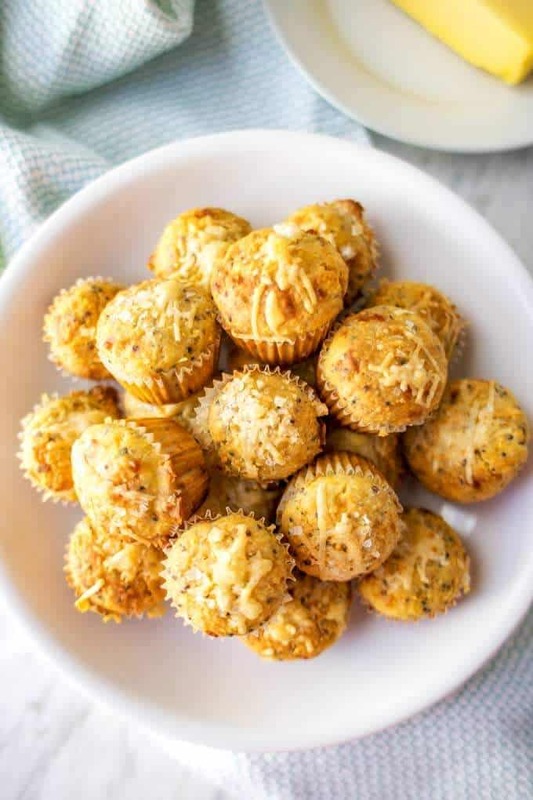 But for myself, I love to test out gluten-free savory bread and muffin recipes. 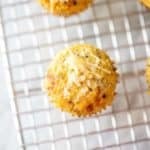 These Gluten Free Corn Muffins are out of this world! I’ve added quinoa to them for a punch of texture and nutrition, but feel free to leave it off if it isn’t your jam. Likewise, you can skip the cheese and salt on top, but I would encourage you to give it a try. I’ve found that a little touch of a flakey salt helps the flavor of savory gluten-free baked goods. In a small bowl combine milk and lemon juice and set aside for 5 to 10 minutes to curdle. Whisk in olive oil and egg. In a separate bowl combine flour, cornmeal, quinoa, palm sugar, baking powder, baking soda, parsley, onion, salt and pepper. Make a well in the center and whisk in milk mixture, mixing until just combined. Stir in cheese. Spoon into 12 well greased muffin cups or 24 mini-cups. Bake 25 minutes (large) or 18 minutes (small). Remove from oven and dot with butter. 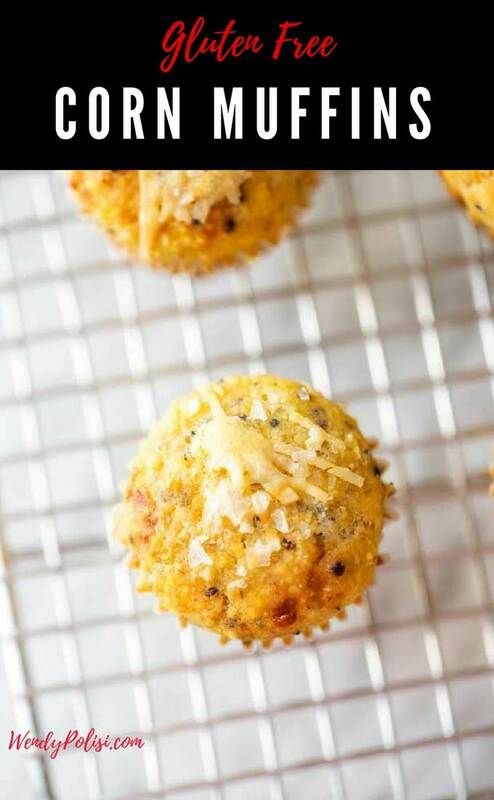 Sprinkle with parmesan cheese and flaky salt. Cook for 5 more minutes, until a toothpick comes out clean and cheese is melted. It has been awhile since I have had a corn muffin.